Upon arrival Ho Chi Minh City, the former Saigon. Welcome by our Tour Guide and transferred to your hotel. The rest of the day is free to explore this dynamic city. In the evening, you will enjoy a welcome dinner at local restaurant. In the morning we take a half day tour in this dynamic city. First, we visit the Reunification Palace, the former palace of President Thieu and his predecessors. Next, we visit the War Remnants Museum, We also stop at the Notre Dame Cathedral and Old Post Office. The post office, built between 1877 and 1883, is an excellent example of classic French colonial architecture. Lunch will be served at a local Vietnamese restaurant. 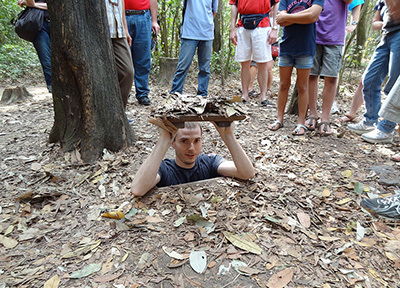 In the afternoon, we drive 70 kilometers to North West to explore the underground tunnels in Cu Chi the system had been created long time back, from 1948 to assist Viet Minh in the combat with French. It was continuing built over 25 years later. It was an underground city with living areas, kitchens, storage, weapons factories, field hospitals, command centers. In places, it was housed up to 10,000 people who virtually lived underground for years… getting married, giving birth. During the American War the entire area of Cu Chi was designated a free fire zone and was heavily bombarded. From 1988, two sections of tunnels have been opened for visitors. You may even have a chance to crawl through the tunnels yourself. We return to Saigon in the late afternoon. We will also visit one of many local orchards where we can enjoy some of the exotic fruits before transferring back to Sai Gon. Free time at the leisure until transfer to the airport for flight to Nha Trang. Upon arrival in Nha Trang, we take a transfer to our Hotel. The rest of the day is free at leisure. After breakfast, we start from your hotel to Cau Da port. 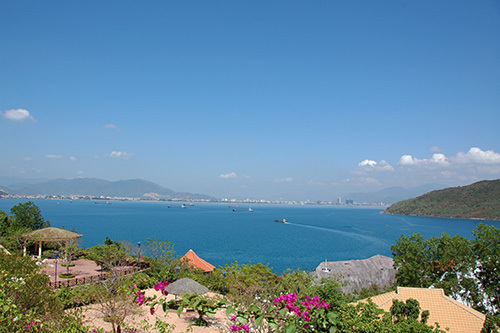 Tri Nguyen Aquarium on Mieu Island is the first place to visit; many sea species of Nha Trang/Khanh Hoa province make a small ocean world there. Mun Island is the best island for snorkeling where you can see lots of lives colorful corals and fish. You will also be able to see caves in which the sea swallows making their nest. Then relaxing, swimming & doing water sports or other activities at Mot Island, Tranh Beach Island or on a small island calling “Mini beach”. Taking a fresh lunch at the island. On the way back you will visit a fishing village before going to the shore. Transfer to the airport for a short flight to Da Nang. After that we drive to our hotel in Hoi An and check-in. 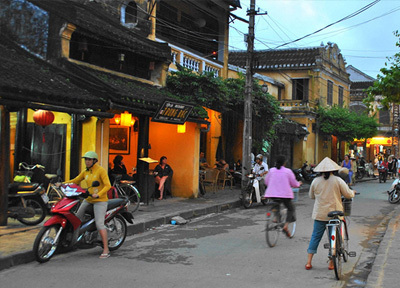 This afternoon we take a walking tour of the old town Hoi An. 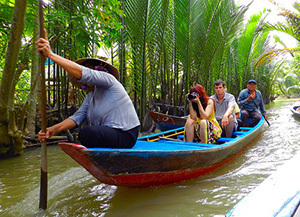 Visit the Japanese covered bridge, Phuc Kien assemble hall, Phung Hung old house, Hoi An museum and Quan Cong temple. The rest of time is free to walk in the old town, feel the atmosphere of its original culture, enjoy shopping for tailor clothing, lanterns, shoes and food, or simply relaxing on the beach. In the morning we drive 70 kilometers to My Son Holy land. Located 70 km southwest of Da Nang, My Son was the capital of the once mighty Champa Kingdom. It boasts a complex of ancient ruins that date back to 1,700 years ago, and is the most complete example of ancient Champa ruins in Vietnam. In the afternoon free to explore the town, enjoy the shopping or simply relax on the beach. After breakfast, we depart from our hotel for a three-hour journey to Hue, one of Vietnam’s most cultural and historical cities, once ruled by the Emperor of the Nguyen dynasty. Stop on the way to visit Cham Museum and Marble Mountain. Marble Mountain was one of four mountains located south of Da Nang that stretched from the coast inland or westward for about three miles. All of the mountains had lots of cave entrances and tunnels. 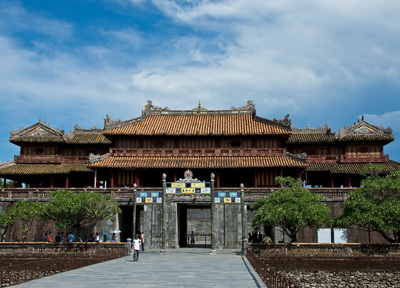 Upon arrival, check in to our hotel in Hue and visit Forbidden Purple City. The rest of time is free at the leisure. In the morning we board a dragon boat on the Perfume River to visit Thien Mu Pagoda. From here we drive to visit Minh Mang and Khai Dinh Tomb, stopping en route to witness the crafting of Vietnamese conical hats. In the afternoon we take a short flight to Hanoi. Upon arrival, welcome and transfer to our downtown hotel to check in. 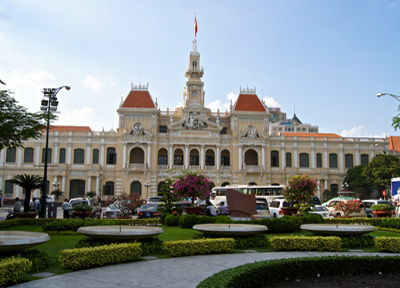 We begin a full-day city tour by visiting the Ho Chi Minh complex, including the One Pillar Pagoda, the former leader’s house on stilts and his Mausoleum. 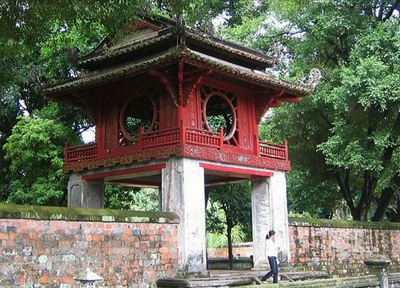 This is followed by the peaceful Temple of Literature - the first university of Vietnam. In the afternoon we visit the Ethnologic museum, followed by an hour cycle tour (rickshaw) through the bustling Old Quarter. 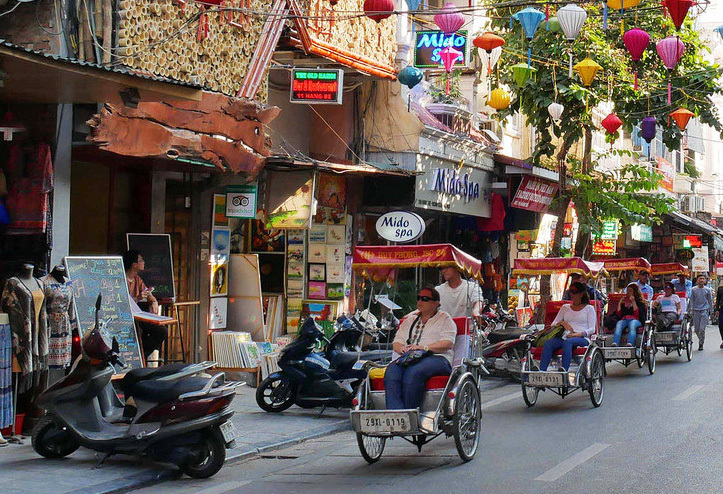 A walk through its exciting streets is a fascinating introduction to the different lifestyles of Vietnam, and an opportunity to shop for bargains. To finish off the day, we attend the performance of the unique water puppetry. After breakfast, we transfer to Ninh Binh province. 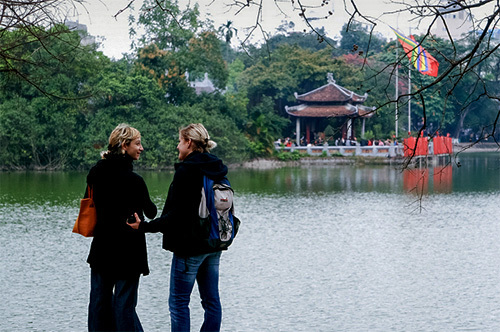 Visit Hoa Lu - Nearly one thousand years’ ago, this place used to be the Capital of Grand Viet ruled by Dinh and Le Dynasty. 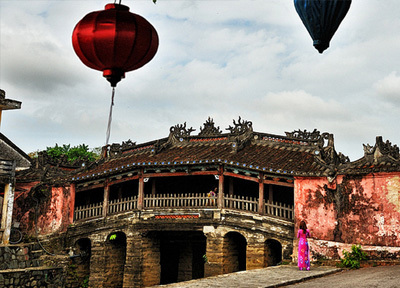 In spite of many feudal and historical conflicts, Hoa Lu still preserved its heritages with many temples and pagodas. Your one-day tour will be filled with many legend and myth. 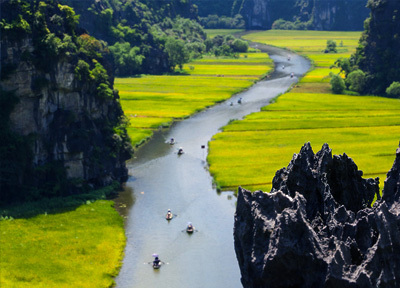 Additionally, one thing that make this tour the most exiting is the boat trip through winding stream to visit Tam Coc ( three grottoes)- regarded as “ inland Halong bay”. Back to Hanoi in the late afternoon. 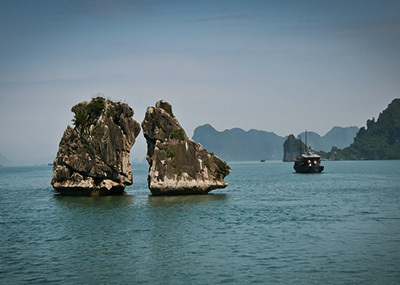 Upon arrival at Ha Long Bay we embark on a boat trip to cruise discovering this magnificent UNESCO World Wonder. This is a great journey among surreal islands rising from a tranquil emerald sea. In the late afternoon, we anchor for the night on the bay and enjoy a delicious seafood dinner on board. Early morning coffee and tea will be served on the sundeck followed by a Tai Chi class. After breakfast we take a Sampan boat to explore Luon Cave. We may have a chance to see the wild monkeys that gather around waiting for food from the tourists. After that we continue to cruise around the bay. Lunch is served on the boat on our way back to the docks then we return to Hanoi. On the way, stop over for Dinh Bang Village in Bac Ninh Province to visit Do temple, this temple was building during the Le Dynasty and has been altered several times since. The major reconstruction took place under the reign of Le Trung Hung in the 17th century. Then we enjoy traditional music show “Quan Ho” or called Quan Ho Folk song. Return to Hanoi and free time. Free day until your transfer to Hanoi airport for your flight home. Tip, drinks and personal expenses. 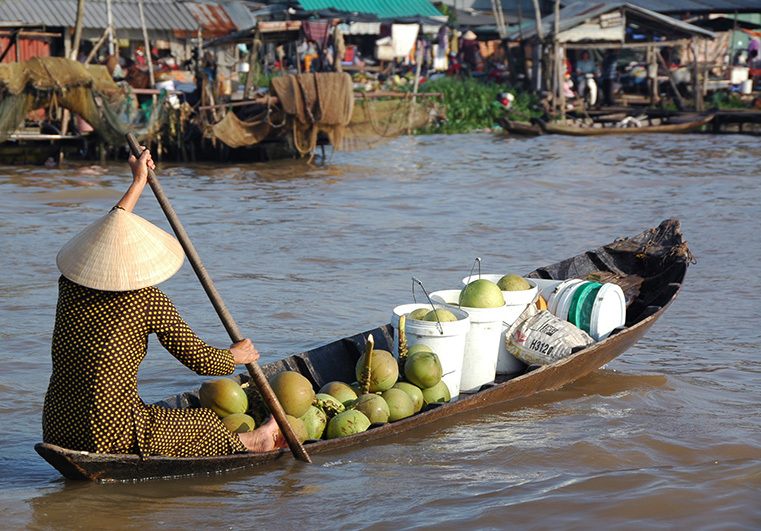 Ho Chi Minh City - Ben Tre - Can Tho - Cai Rang floating market - Ho Chi Minh.